Did you know that you can buy trust? Oxytocin is a human pheromone that, when released, increases feelings of trust. The producers of Liquid Trust (you can find it on Amazon) claim that spraying their product on board room tables or documents can give you an extra edge in business. But you don’t have to buy bottles of Liquid Trust (reviews on Amazon are mixed) –there are best practices in communication that can increase trust at work. It’s important to practice these because trust opens doors. Being able to build trust at work is vital to success, though. 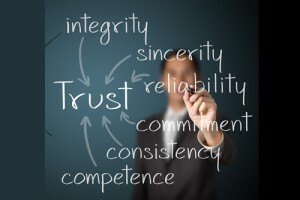 Relationships built on trust lead to faster transactions, better collaboration and relationships among employees, better connections with clients and faster delivery of objectives. Let’s look at the two ways we can build trust at work and research on one rapid trust builder –self-disclosure. We build trust at work in two different ways, by sharing our business knowledge and by sharing thoughts and feelings. Most of us tend to prefer one type of communication over the other. Knowing our preferences can help us remember to adjust our habits to reach others who prefer the opposite style of trust building. To determine your style, ask yourself: do co-workers seek me out to talk about a business issue? Or am I the favorite when others want to talk about their personal challenges? When I meet a new colleague or customer do I want to demonstrate my knowledge or do I strive to find common ground and build rapport? These two styles aren’t mutually exclusive. It is possible to deliver both business credibility and personal depth. But often we have one favorite style and the other approach can feel less comfortable. At work we trust others based on how skilled they are in offering these two different dimensions to us. We can identify five different mixtures of these styles at work. We seek out the Technical Specialist for their specific knowledge. We may have a lower level of trust in these interactions; they are simply transactional and specific to our niche needs of the moment. The Business Guru has an impressive breadth of business knowledge. We go to this person with big-picture questions but we might not expect them to be open to hearing our worries or candid sharing their concerns with us. The Trouble Shooter has a medium mix of business breadth and personal depth. We may engage this person on a broader range of topics and expect to have a slightly richer dialogue around our needs and challenges. Our Buddy at work offers lots of personal depth but may be low on business knowledge. While we trust this personal relationship we may be less likely to go to the Buddy for business guidance. The Trusted Advisor is the most trust-worthy. They have lots of wisdom on a wide range of business issues and they are open, empathetic and interested in our concerns. Trusted advisor relationships involve both conventional consultation and honest off-the-record conversations. If we consistently share our business knowledge with others and listen and disclose both thoughts and feelings, we can become a trusted advisor to others. But not all situations call for this. By understanding what others need and prefer we can customize and adjust our habitual style to give others what they are seeking. Then we can help build trust in any situation. People open up more to someone whom they like. People like someone more if one or both of the pair have shared openly. In other words, when I self-disclose to you, not only do you like me more, but I like you more too. Sharing openly leads to more sharing. Self-disclosure is a uniquely effective tool for building rapid bonds between two people. If you are the boss, how much should you reveal? 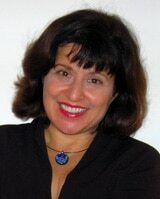 Research by Offermann and Rosh (HBR Blog 2012) described skillful self-disclosure as knowing when and what to share. You don’t need to tell your colleagues everything you ate that day or every aspect of your personal life. Most important is empathizing with their situation and sharing similar experiences of your own. After this interaction my friend struggled to build a close working relationship with this client. If she had merely acknowledged the disclosure and shared a bit of empathy she would have built trust in that moment. She might have said, “That sounds hard. I know it can be a challenge to have these kinds of meetings when we are dealing with Life’s curveballs…” Even if we think a colleague or team member is disclosing too much, this only means that they trust us and want to build on that trust. We don’t have to share as completely but we do need to acknowledge when someone else self-discloses. Listening to others’ self-disclosure also implies that we are interested in them. Research confirms that others will trust us more if we seem interested in them. If we are too busy pushing our own agendas, trust will be lost. 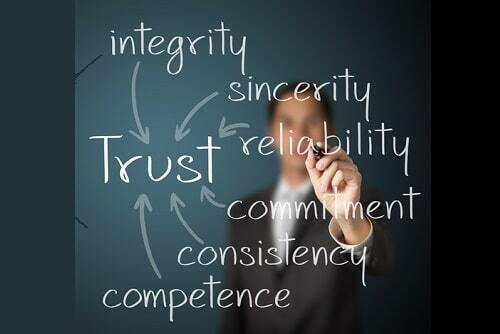 Individuals who are trusted by their colleagues, clients, customers and stakeholders are ultimately more successful. This is because when you are trusted, you need to spend less time building rapport, influencing, selling, gaining consensus and jumping through bureaucratic hoops, leaving you free to spend more time delivering in your role. By being aware of the need to share our business knowledge and build personal depth with others, we will be more likely to build trust at work.